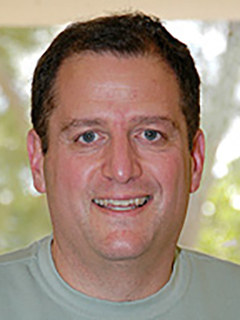 Ben Kirtman is a Professor of Atmospheric Sciences at the University of Miami’s Rosenstiel School of Marine and Atmospheric Science. He uses atmosphere-ocean general circulation models to study the predictability and variability of the Earth’s climate system. Kirtman teaches graduate courses on the general circulation of the atmosphere and El Niño/Southern Oscillation, and climate prediction and predictability. He also teaches dynamic meteorology and atmospheric thermodynamics to undergraduates. He mentors graduate students in the Meteorology and Physical Oceanography graduate program, as well as post-doctoral researchers. Kirtman received his B.S. in Applied Mathematics from the University of California-San Diego and his M.S. and Ph.D. from the University of Maryland-College Park. He was a Research Scientist at the Center for Ocean-LandAtmosphere Studies and a tenured Associate Professor at George Mason University before joining the Rosenstiel School in 2007. Kirtman has published over 100 peer-reviewed papers focused on understanding the variability of the climate system on time scales from days to decades. Kirtman’s research is a wide-ranging program designed to understand and quantify the limits of climate predictability from days to decades. His research also involves understanding how the climate will change in response to changes in anthropogenic (e.g., greenhouse gases) and natural (e.g., volcanoes) forcing. This research involves hypothesis testing numerical experiments, using sophisticated state-of-the-art climate models and experimental realtime prediction. His group uses and has access to a suite of climate models, climate data, and high performance computational platforms.